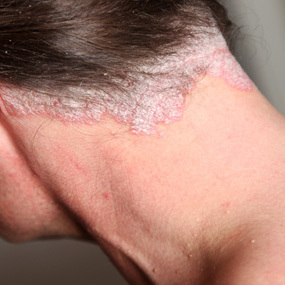 Scalp psoriasis is a common skin disorder that produces raised, reddish, and often scaly patches. It can appear as one or multiple patches on the scalp, affect the entire scalp, and spread beyond the scalp to the forehead, back of the neck, or behind the ears. Scalp psoriasis is not contagious. Like other types of psoriasis, its exact cause is unknown. But it’s believed to result from an abnormality of the immune system that causes skin cells to grow too quickly and build up as patches. You may be more likely to develop scalp psoriasis if psoriasis runs in your family. Scalp psoriasis can be mild and almost unnoticeable. But it can also be severe and long lasting, causing thick, crusted lesions that affect appearance. Intense itching can interfere with sleep and everyday life, and frequent scratching can lead to skin infections and hair loss. People with scalp psoriasis often report that it leaves them feeling embarrassed and insecure about their scalp’s appearance. 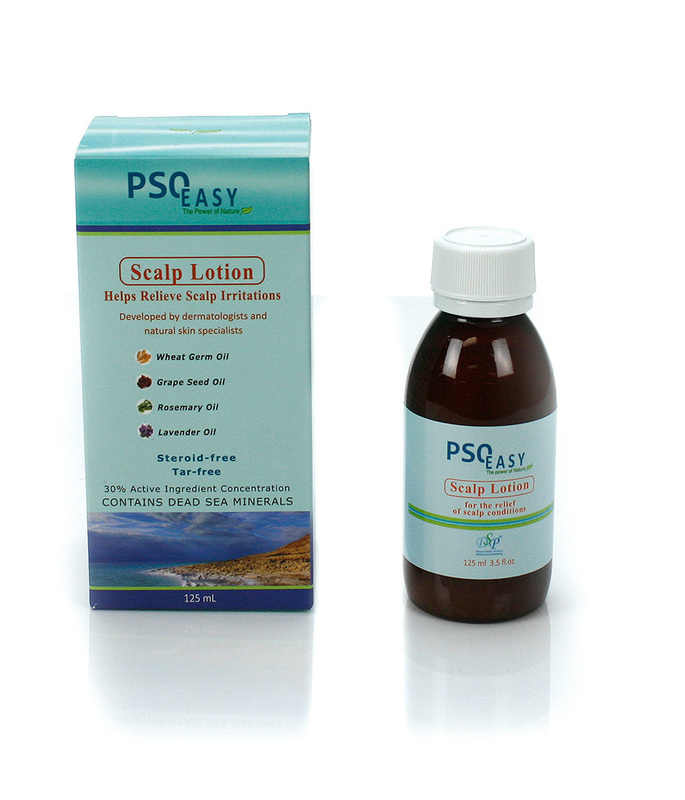 If you suffer from Scalp Psoriasis we recommend using PSOEASY Active Shampoo and PSOEASY Scalp Lotion for best results. The PsoEasy treatment shampoo and Scalp Lotion consist of unique formulas, which combine several natural components including Dead Sea minerals, essential oils and plant extracts. The formula is also rich with anti-inflammatory components such as Tea Tree Oil and Wheat Germ Oil (Vitamin E), which are known for their effectiveness in alleviating inflammatory scalp symptoms caused by Psoriasis, Seborrhoea and Dermatitis. PSOEASY Active Shampoo and PSOEASY Scalp Lotion effectively alleviate and control various irritated scalp symptoms such as dryness, redness, flaking, scaling, itching and dandruff. These symptoms are often caused by skin conditions such as psoriasis, seborrhoea and dermatitis. Do not scrub your scalp too hard when you apply the shampoo. Excessive friction or scratching can irritate the hairy area. Be patient during treatment. The effect may take a few weeks before the positive results appear. Do not abruptly stop your treatment once you have achieved the desired result. 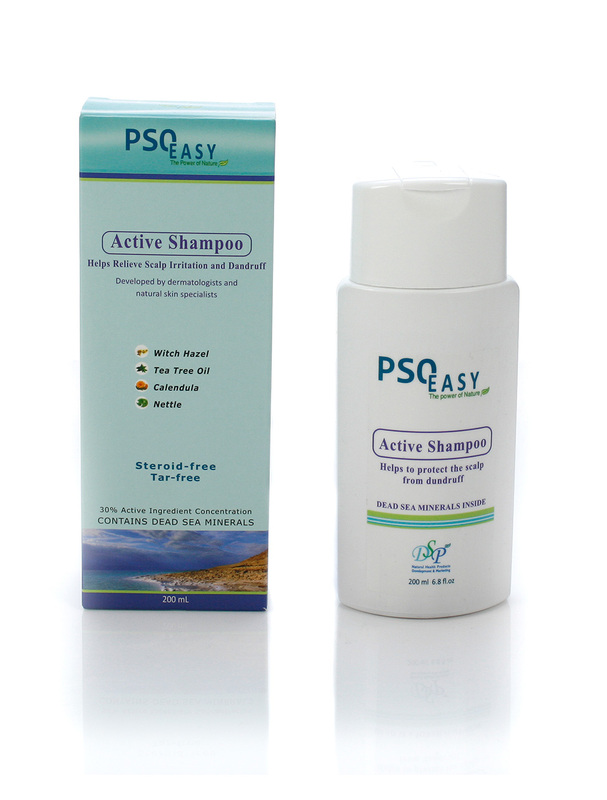 To prevent relapse, use PsoEasy Active Shampoo with a less intense frequency. Avoid using a hair dryer, since hot air can worsen the condition of your dry scalp. Let your hair dry in the open air. If necessary, use your hair dryer only in the cold air option. Avoid products containing mint. This popular ingredient used in many shampoos proves harmful during skin problems of the scalp and can worsen the condition of psoriasis. You can colour your hair if you use non-chemical products. During periods of flare-up avoid colouring your hair so as not to aggravate the symptoms.